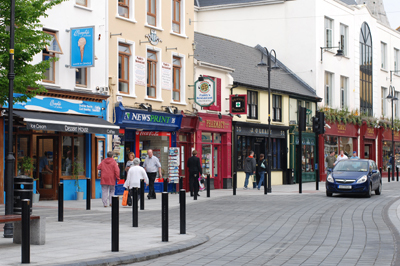 Dingle and Killarney Both Included in Top 100 Places to Visit in the World! Now, I’m not saying this has anything to do with the power of ice cream, but Tripadvisor has announced its Traveller’s Choice Destination Awards, and both Dingle and Killarney rate in the top 100, based upon reviews and ratings by Tripadvisor’s 15 million members. Dingle comes in an amazing 18th in the worldwide list of best places to visit, and Killarney comes in 85th, ahead of Rome, Barcelona, and Machu Picchu! Galway is the only other Irish town listed, coming 42nd, and, in case you were wondering, Milford Sound in New Zealand comes first. And, thanks to the Kerry News Blog, I’ve found out that Ryanair is going to be offering three daily services between Dublin and Kerry starting in July, so it’s just become easier to come to Dingle or Killarney! That street is positively picturesque!!! Congrats to Killarney! So they should be too. Beautiful places. I think I have commented before how I loved the Dingle Penninsula – so pretty nad the history is really fasinating as well. Great memories!